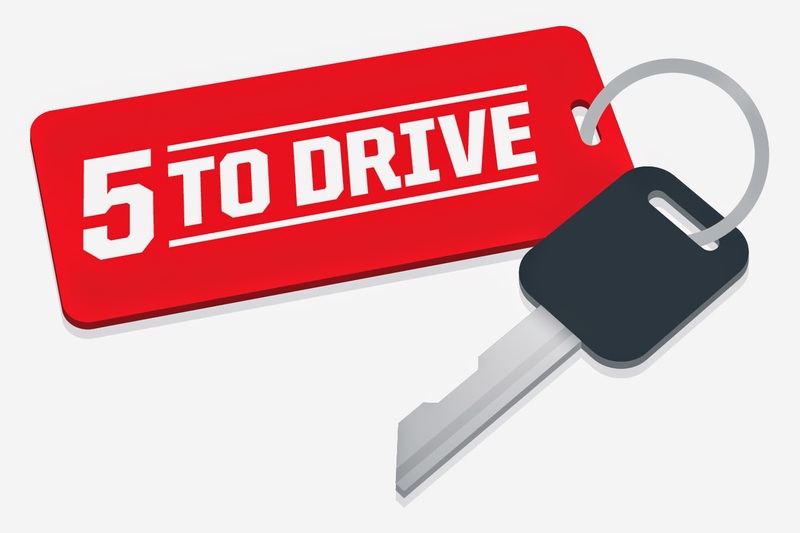 15-year-old International kart racer Tazio Torregiani is endorsing the “5 to Drive” campaign, to encourage teen drivers to always set the rules before they hit the road. 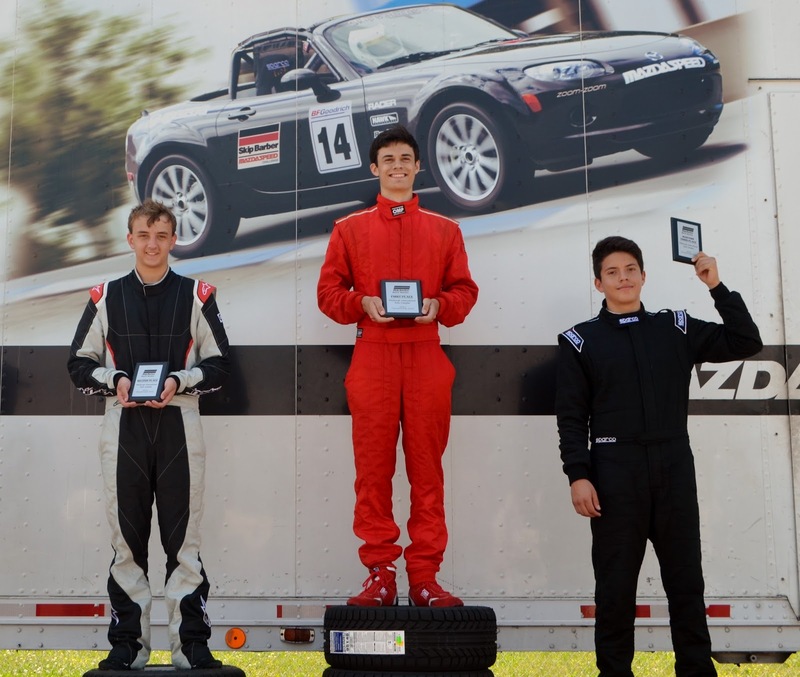 The Stamford High School sophomore has been racing karts since he was six years old, from Las Vegas to Bahrain, and has won many times, including several times at the National level. He is also a recent Skip Barber Racing School graduate in a formula 2000 race car. Thanks to many of his supporters, on November 23rd, Tazio will be racing at the Supernationals in Las Vegas, the largest kart race in North America, with International recognition. The weekend of August 16/18 2013, saw the fifth round of the WKA Manufacturer Cup National sprint kart series, at Pittsburgh International Race Complex, in PA (USA). 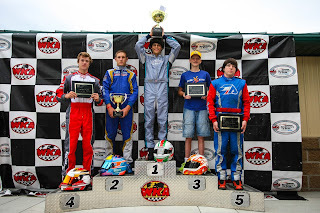 14 year old Connecticut driver Tazio Torregiani was entered to race in Komet Junior and Yamaha Junior classes. 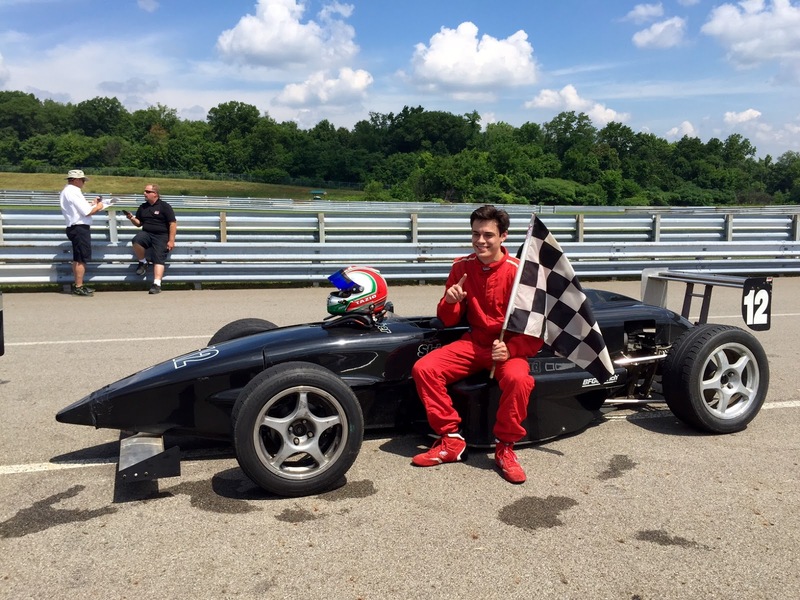 His Woltjer powered Haase karts were prepared with the help of Tazio’s 13 year old brother Dario, and under the supervision of Mike DotyRacing. Torregiani was happy with his karts, and it showed, he was among the fastest drivers all weekend. On Saturday, in his first final race, Tazio was pushed off the track during a side to side battle, but still managed to get a top ten finish, crossing the line 9th in Yamaha Junior class. In his second and third final races, Tazio was to fall victim of two separate incidents, with no fault of his own, that saw him out of both races on the first lap. Torregiani’s last feature race of the weekend was next, in the faster Komet Junior class. Finally he ran out of bad luck, and starting in third, nothing was going to stop the determined High School freshman from Victory. At the green flag, with a good start, Tazio managed to avoid an accident, and was 2nd out of turn one. By turn two he dove on the inside and grabbed the lead of the race. It was not going to be easy for Tazio, as two Top Kart teammates passed him and tried to leave him behind. Torregiani was able to muscle his Mike Doty Haase kart past both top karts, and by the end of the last lap he opened a three kart gap, and crossed the finish line with both arms in the air, taking his first National win. “Highlight of the race was me retaking the lead over the last Top Kart. A race I’ll remember forever. 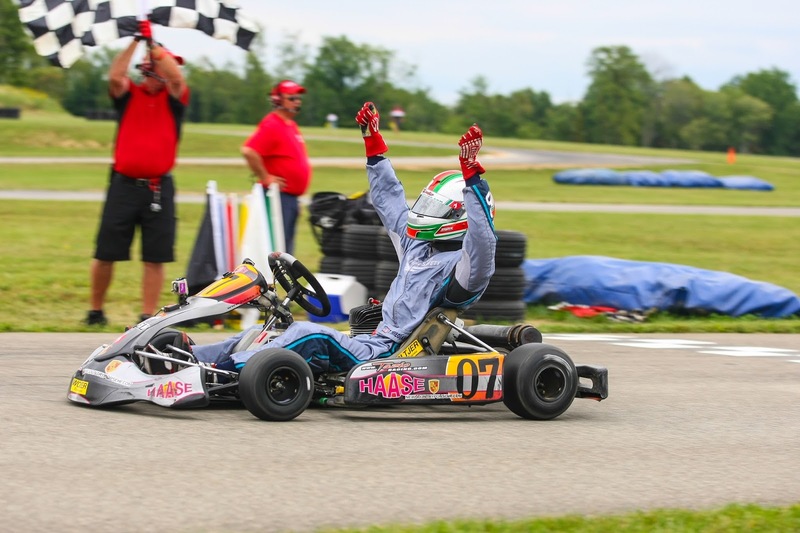 I would like to thank my parents and brother, Mike Doty Racing, Woltjer Racing Engines, WKA, and my competitors for the exciting racing” Said Torregiani after the race. Tazio’s next big race will be in France, on September 22, as the only American driver in the International CIK FIA Academy Trophy, where Tazio will continue to race with some of the best drivers in the sport.